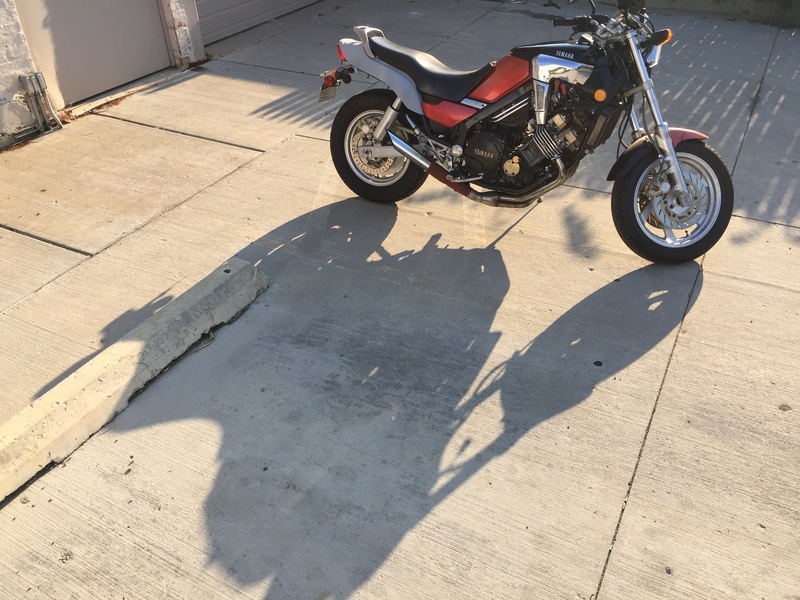 Fazer Shadow – when picking up some new spark plugs and coils for the Mini I spied this 80’s Yamaha in the lot. It belonged to one of the auto parts store sale people. It’s basically a baby V-Max. In-line 4 700cc. A cool looking roadster.